By now everyone knows that Baltimore’s schools are suffering another budget shortfall and that the extra funds scrounged up by state and city leaders barely takes the edge off the crisis. Even after that stopgap infusion of resources, the system will still be $30 million short of what it needs next year. Principals have no guarantees of who their teachers will be. Teachers are not sure if they’ll have a job. Parents don’t know if their children will still have art, music, or physical education. Amid this uncertainty comes a consultants’ study of the school budget, commissioned by the school system and funded by an unnamed foundation, that offers hard data and seems to suggest specific fixes. It’s an analysis that leaves out the history of how these small schools came to be and offers a fix that sacrifices children’s educational opportunities for short-term cost cutting. Should we be concerned that Baltimore has more schools with fewer than 350 students than other jurisdictions and that they cost the system an additional $13 million? Sure. 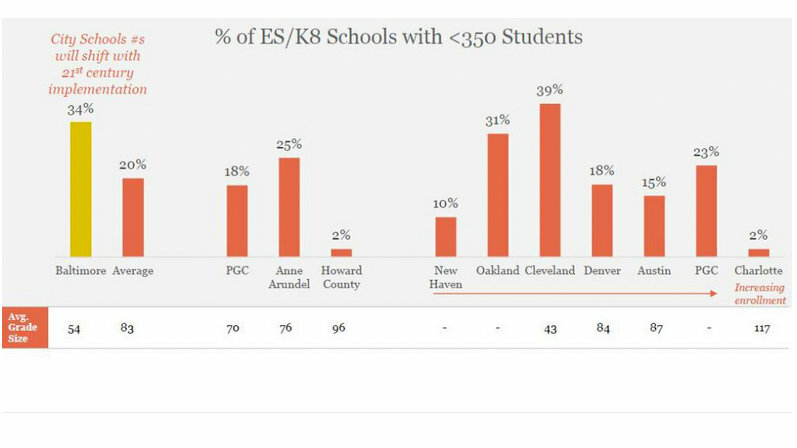 But is closing these schools and consolidating the students into larger schools, as the report by Educational Resource Strategies suggests, the best or even the most cost-effective response? I would argue it is not and I challenge school officials to consider creative approaches that would foster these small and nurturing school environments without allowing them to be a financial drain. 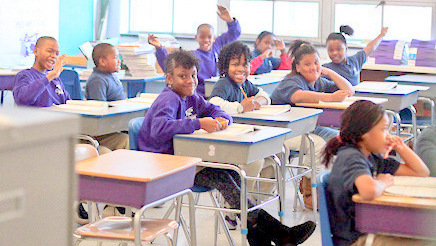 We cannot keep undermining Baltimore’s schools and expect better outcomes. Why does Baltimore have so many small schools? But while Baltimore may have too many buildings for its student population, the roll-out of the school closure plan has been rocky. Small schools that have been “merged” with existing schools have experienced a host of problems as distinct student cultures collided. The receiving schools have not been prepared to welcome and integrate a new set of students, making the atmosphere anywhere from uncomfortable to hostile. In some schools, a rise in disciplinary problems and suspensions has been the result. 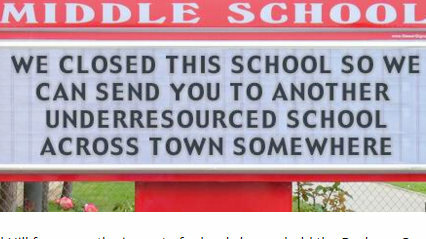 This should come as no surprise – closings schools is never easy and rarely successful. Research on school closings in other cities shows that they hit the poorest communities the hardest, and students end up attending schools that were no better than they ones that were shuttered. Displaced students are also on their own for transportation, providing yet another obstacle to getting to school, not to mention the safety concerns posed by going to a new school outside the neighborhood. Decades of research show that small schools, while they may be costly to run, have significant advantages, especially when it comes to serving low-income children. There was a movement to create small schools in the early 1990’s as a way to combat violence since a small community could foster familiarity between staff and students, something much more difficult to achieve at a large school. Smaller schools are also more able to provide better academic support to students since the teachers are able to get to know the students well. We know that students attending small schools also have better academic outcomes and graduate more students than large high schools. A study of New York City’s small schools conducted by MDRC, finds that they graduate more students and prepare more students for college, especially low-income and black males. Earlier studies show that the higher graduation rates make small schools more cost effective because there is less cost to the school district in remediation, support services and social services associated with a lower graduation rate. The same positive impacts, notably, are seen with so-called “community schools” that provide wrap-around services from non-profits, community groups or university programs to students and their families. They give school staffs a framework for interacting with students that emphasizes relationships rather than punishment. These are very promising practices, but they are expensive to maintain. In fact, the City School’s proposed FY 2018 budget has included cuts to the funding of community schools. Such cost-benefit questions are really the ones we have to ask clearly and answer honestly. How much do we want to invest in the children of Baltimore City? Do we really want to give them a well-rounded education? To prepare them for college? To offer them enrichment opportunities? To give them safe spaces in which to learn? In a city plagued by annual budget crises, it may be difficult to think about these questions. But let’s presume we answer “yes” to them all. On a limited budget, I suggest that the city think very differently. In the costly, under-enrolled schools buildings, the city and the school district could be looking for renters. We could have local colleges and universities leasing space to offer classes to students and families. Our hospitals could rent clinical space, and local community organizations and non-profits could lease office space in these buildings. The renters could cover costs that would incur from their usage, and the community schools could offer more integrated services on site to support the students and families. It is time to think creatively about children and families and put their needs first. Otherwise, by taking the same flawed approaches of the past, we will continue to fail them.